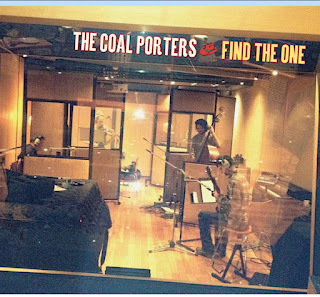 Now that Mumford & Sons’ high-speed banjo arrangements are racking up massive amounts of airtime on progressive radio stations, the time may be right for The Coal Porters to break big in America. Comprised of former Long Ryders frontman Sid Griffin, along with four English musicians, the band has found success in the UK with what it calls “alt-bluegrass” music. Its fifth effort, Find The One, also features several guests, including renowned folk rock artist Richard Thompson on guitar. The Coal Porters tend toward standard bluegrass arrangements on peppy songs like “Barefoot On The Courthouse Lawn” and the instrumental “The Betsey Trotwood.” But the haunting “Hush U Babe/Burnham Thorpe” concerns slaves escaping via the Underground Railroad, while the finger-snapping “Gospel Shore” offers some intriguing religious imagery. Reworking David Bowie’s “Heroes” in a bluegrass mode is a gutsy move that pays off, and when The Coal Porters mix fiddles and banjos with sitar on The Rolling Stones’ “Paint It, Black,” it’s an absolute joy.